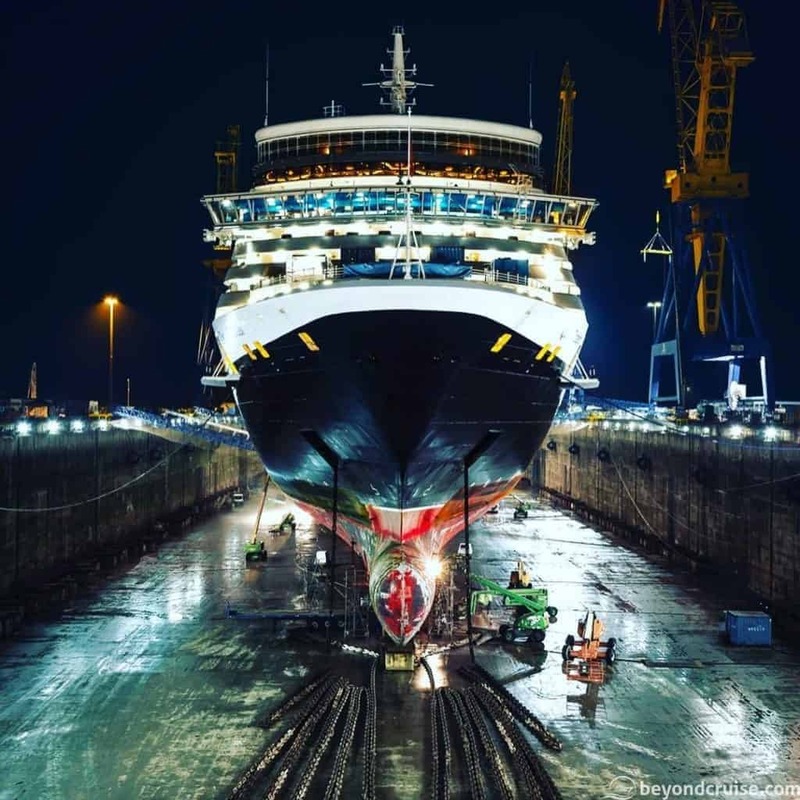 Cunard’s Queen Elizabeth is currently partway through her dry dock schedule in Brest, France. Today, Carnival UK released photos of the work in progress. 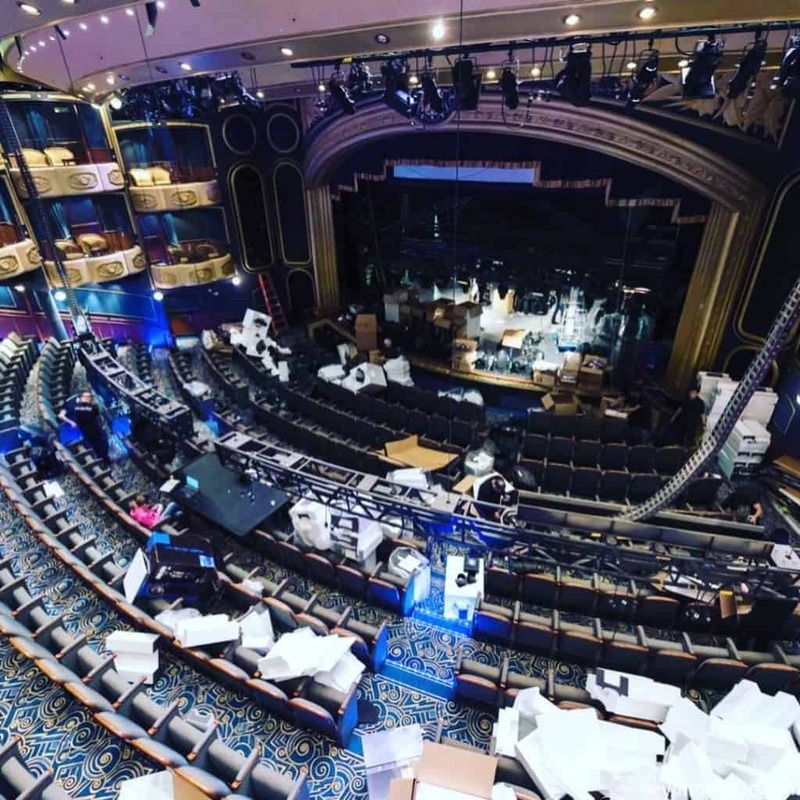 The Royal Court Theatre is having a complete technical overhaul of it’s audio and visual systems. 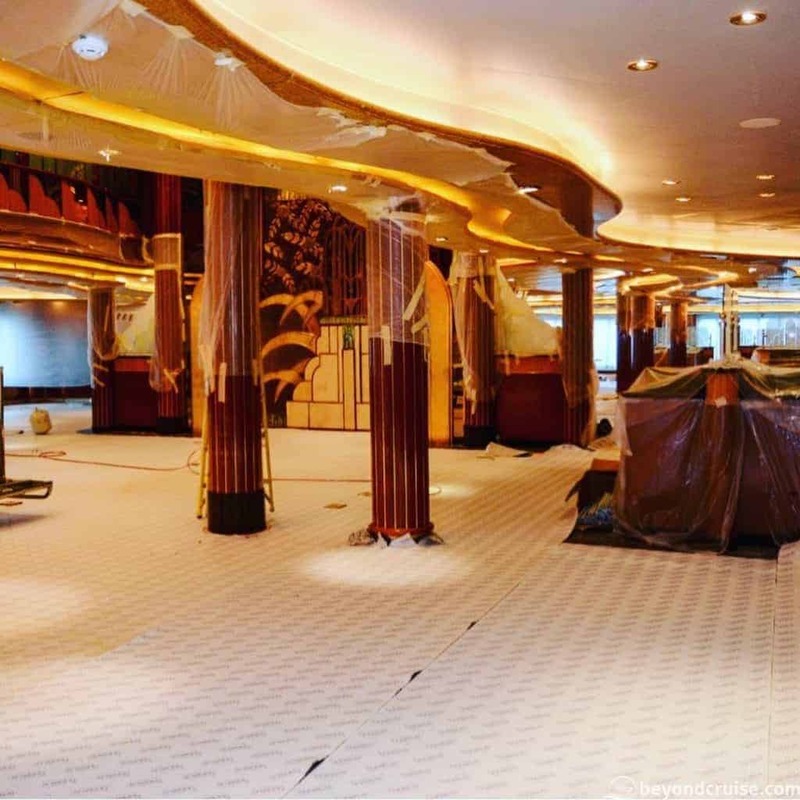 The floor has been stripped back in the Lido Buffet. Work currently underway in the Queen’s Room. 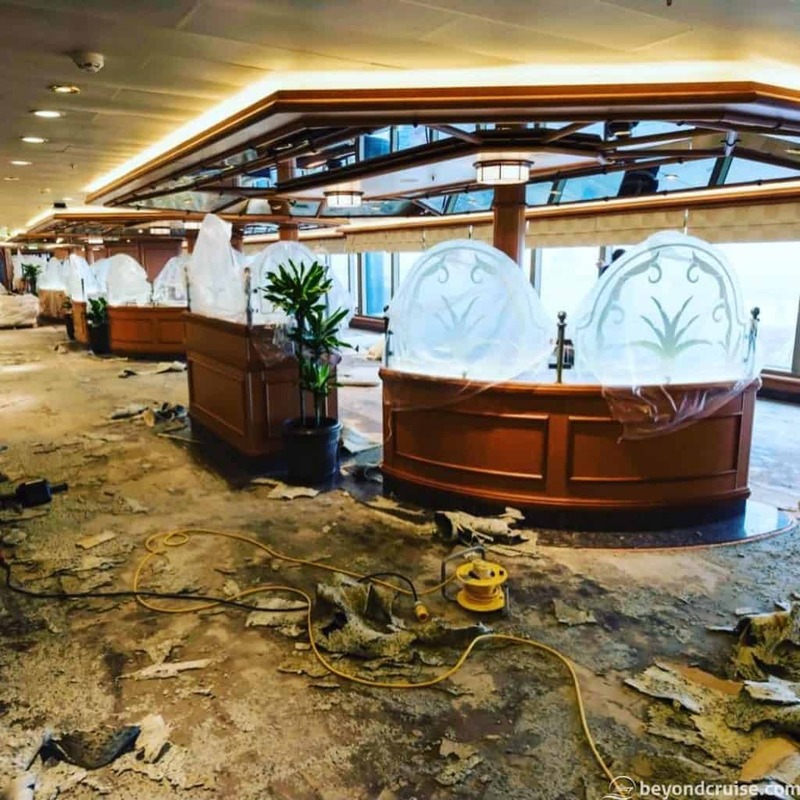 The Britannia Dining Room, seen without tables and chairs for once! Queen Elizabeth sits in dry dock in Brest, France. 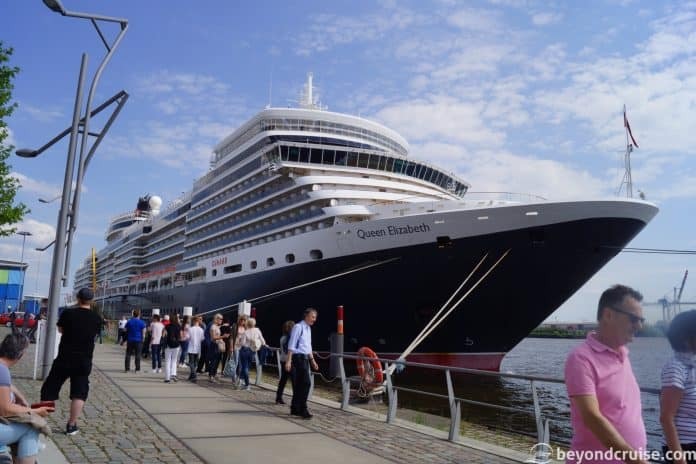 Queen Elizabeth arrived in Brest on the 14th November and is due back in Southampton on the 29th November for a short two-night cruise before she resumes her Winter itineraries. We were on this November to Venice. Can’t believe what they are doing though it was needed. Looking forward to going on her again. 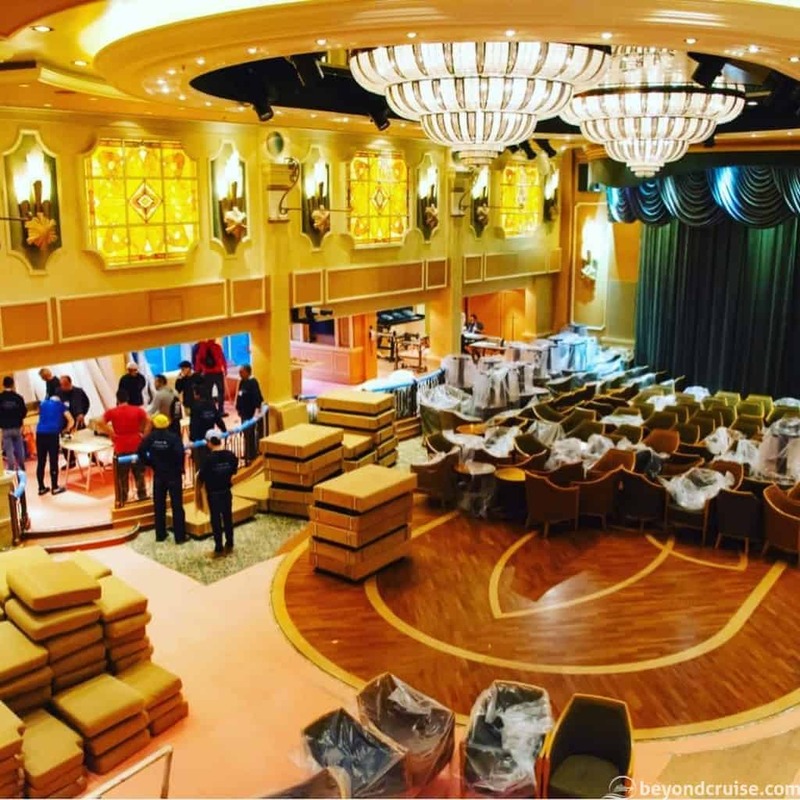 Any photos of the staterooms? how she will look after the latest refit. I thought it was to be completed late November so I am wondering why it is taking so long to show us some photographs.